Stephen Gee had enjoyed winter-sports holidays with his family for over 30 years. When his son wanted to head out to the Alps for one more season, the opportunity to set up a business of their own appeared. As the final month of the winter season approaches, we chat to Stephen Gee from Geeski about his family-run holiday business. Hi Stephen, thanks for chatting with us today. Tell us, what does your business do? We’re predominantly a ski company, we have three chalets in the French Alps, two in Samoëns and one in Chamonix. 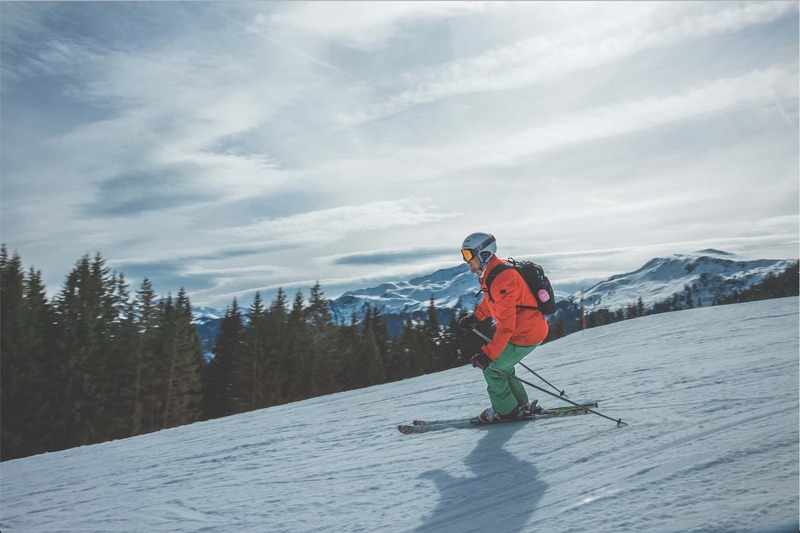 Our USP is about hassle-free skiing, so getting off the plane from Geneva we’ll pick you up and organise the rest of it for you. That’s our winter modus-operandi. In the summer we’re renting out the properties for activities like cycling, walking and generally enjoying the great outdoors. How did the business come about? Did you go on lots of these holidays yourself? It’s a bit of everything really. As a family we’ve been organising skiing holidays for 30 years. The real driving force, however, was when my son Chris had finished university with a business degree, and he was going off to do yet another season in the Alps. I was just retiring from a business, my background is in project management and property consultancy. We were all sat around having a chat one day, saying to Chris, “you’re not really ever going to get a serious job. Your heart is in the mountains”. He agreed, and I said, “Okay, rather than having you work for someone else, I’d like to get involved”. When I retired from my business I wasn’t ready to hang up my working life. I thought it sounded fun. Now we’re in our first proper year of operation, after it took us a while to get set up. We weren’t willing to compromise on the chalets, we just hung on until we found the right fit. I’ve always been someone who’s enjoyed the excitement of starting things up, growing things and taking those risks and plunges in taking a business forward. To tie that in with something I love anyway, skiing, and also helping push my son to get a business off the ground is a really positive combination for me. What is it like running a business with your family? We’ve split the ownership between the four members of our family, but Chris and I do the operational management. So far it’s all been great. Have you come across any challenges with the business? I think moving into a completely new area was the most difficult thing. It’s exciting in one way, and very stimulating, and I think we planned well, but it’s still a big learning curve, especially this first year of operation. You think you’ve thought of everything, then something else crops up. You think, “Oh yes, right, I hadn’t quite thought of that one!”. But I’ve always liked a challenge to solve, including finance. Can you tell me about your experiences with that? My background is in bigger business, so I brought in all those skills. We had a well organised business plan. However, there’s been a pattern of bookings we weren’t quite expecting, far more last-minute bookings and people waiting to see. There’s been a little more uncertainty in our cash flow, in the last seven days I’ve taken about £10,000 of bookings for the season! That’s where iwoca came in, to help us bridge those gaps. Thanks for chatting with us, Stephen. The team enjoying their 'winter office'.